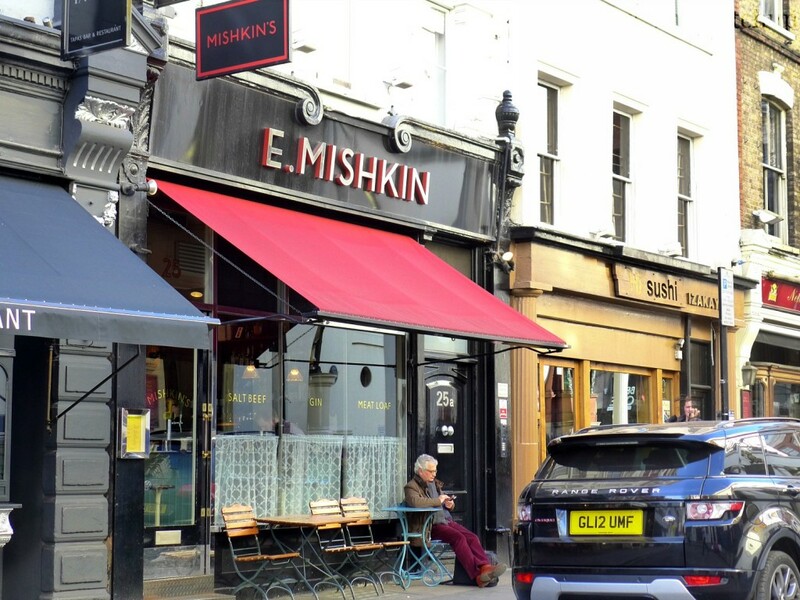 One sunny spring afternoon, in London town, I made a visit to Mishkins. Taking advantage of the good weather, I decided to walk from Holborn to Piccadilly, rather than get the Tube. Around the half way mark (Covent Garden), I realised I was hungry and checked my google maps to see which restaurants on my “food wishlist” were nearby. That’s how I ended up having lunch at Mishkins, one sunny spring afternoon, in London town. 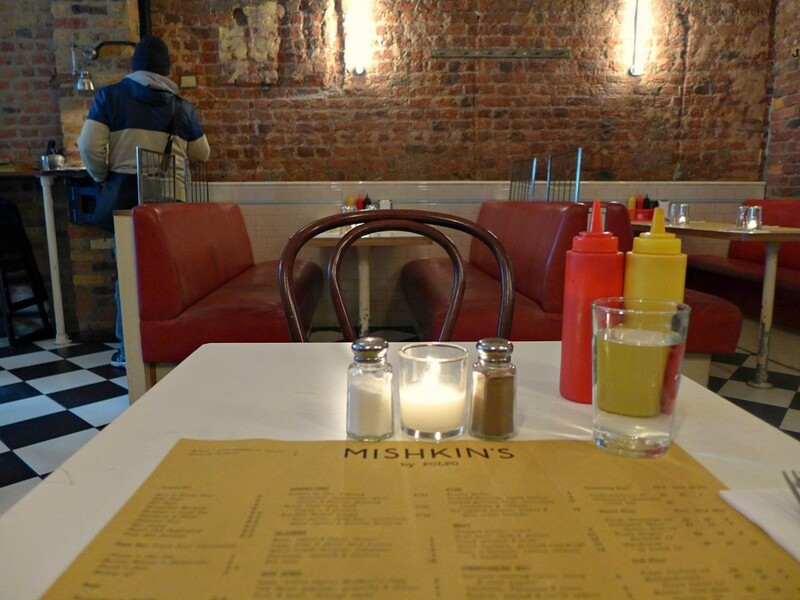 Mishkins describes itself as “a kind-of Jewish deli with cocktails”. I think that’s about accurate. 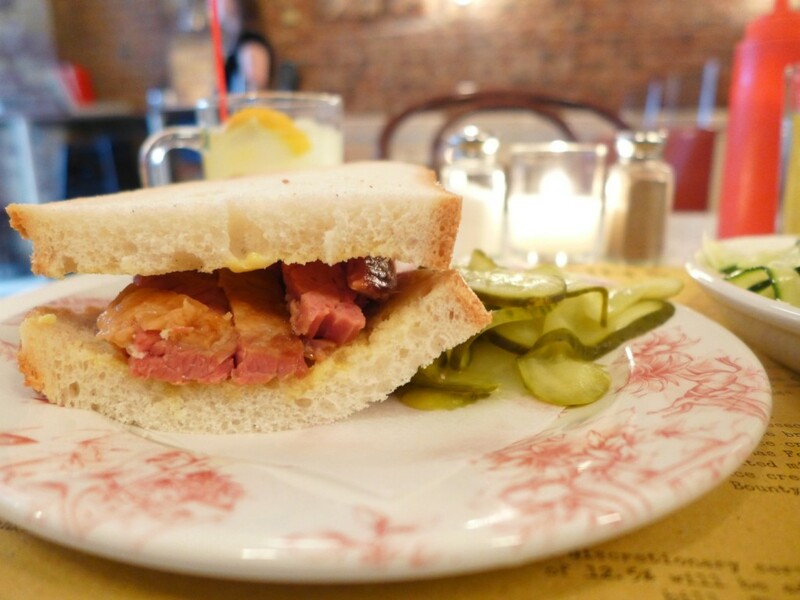 Its not your traditional jewish deli – the decor and staff uniforms would be more at home at an outfit based in Soho or Shoreditch. Also, there are no Jewish people preparing the food, at least not while I was there. However, to be fair to Mishkins, in London, there are a plethora of eateries where the people preparing the cuisine are not natives of said cuisine’s country. Mishkins is owned by the same people behind Polpo and Spuntino. Don’t come here for an authentic jewish deli experience, come for the food. The food is good. I ordered a Brick Lane Salt Beef Half Sandwich, Zucchini Parmesean and a Will Skidelsky’s Lemonade. 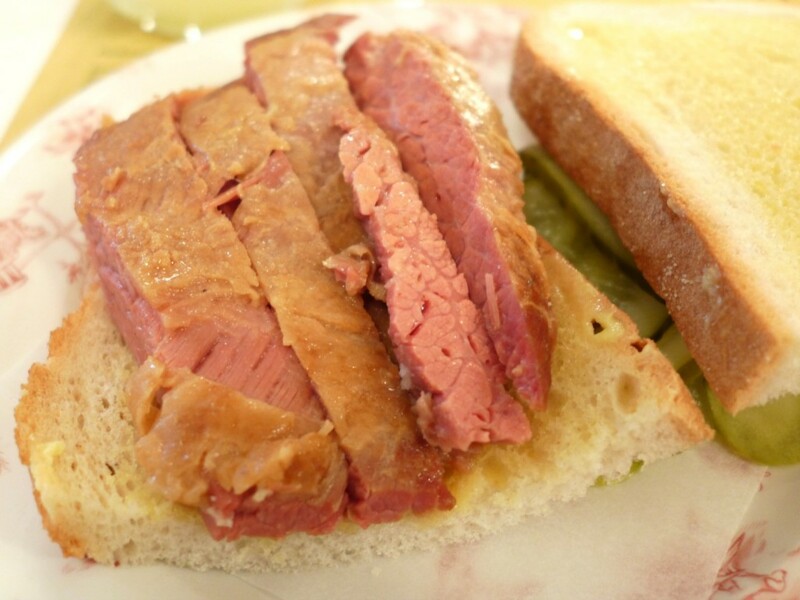 The salt beef sandwich guys! Wow! This was my first time trying a salt beef a.k.a. corned beef sandwich and it was wonderful. The salty, tender beef was sandwiched between two pillowy soft slices of buttery white bread. Mishkins say they cook the beef overnight in a brine stock, which is what creates these beautifully soft chunks of beef that literally melt in your mouth. The sandwich was garnished with a generous side of pickles and a good spread of Colman’s mustard. 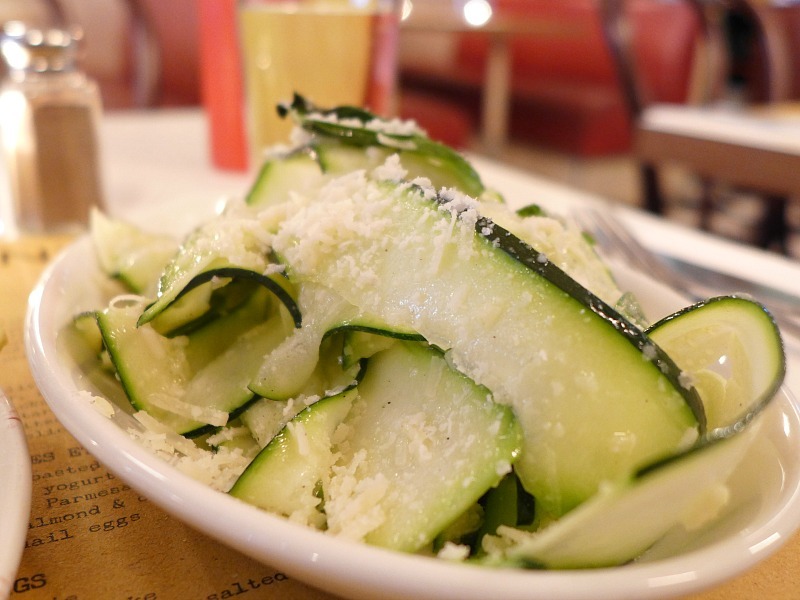 Mishkins’ Zucchini Parmesean (£5) is a courgette salad drizzled in olive oil and sprinkled with parmesan shavings. The salad was crunchy and lightly salted and peppered, with the parmesan adding a nutty flavour. Initially, I wasn’t blown away by this salad… then I got to the bottom where the lemon juice was hiding. 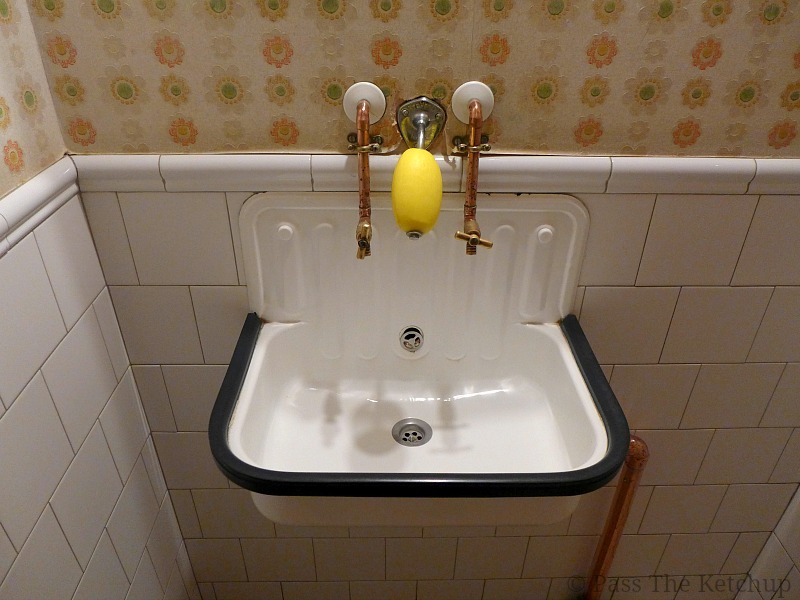 The lemon juice really brought the dish to life and bumped it up from a 5 out of 10, to a 7 out of 10. I washed this a down with a (tiny) glass of Will Skidelsky’s Lemonade. The only thing I can say, is that I wish I knew who Will Skidelsky was without using Google and also, that Mishkins gave you a bigger glass of this fine gentleman’s lemonade. 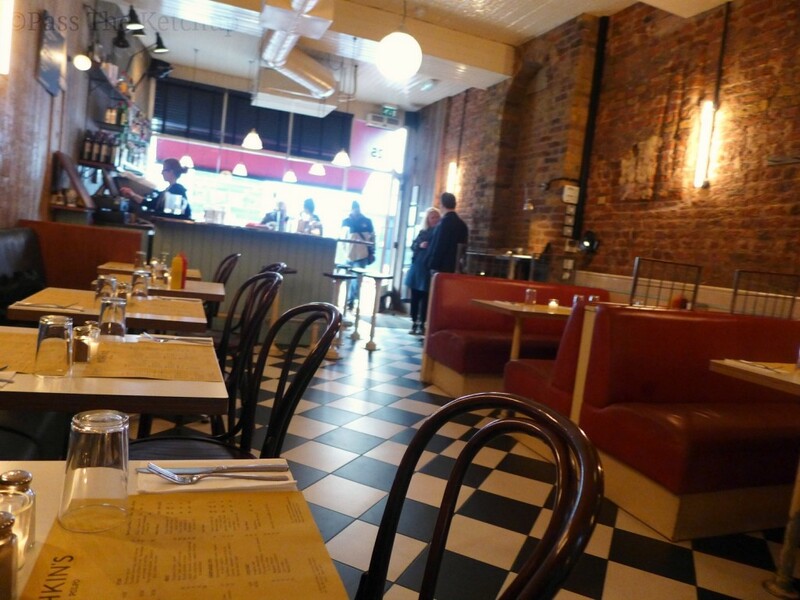 So, while not exactly Covent Garden’s answer to Katz’s or Carnegie’s Deli (you’re going to have to head to New York for that), Miskins has its own vintage-rustic-diner style thing going on and a yummy menu to boot. If you fancy something exciting for lunch, Mishkins is a nice change from the local pannini shop. Price-wise they are reasonable slash tipping into the overpriced side. 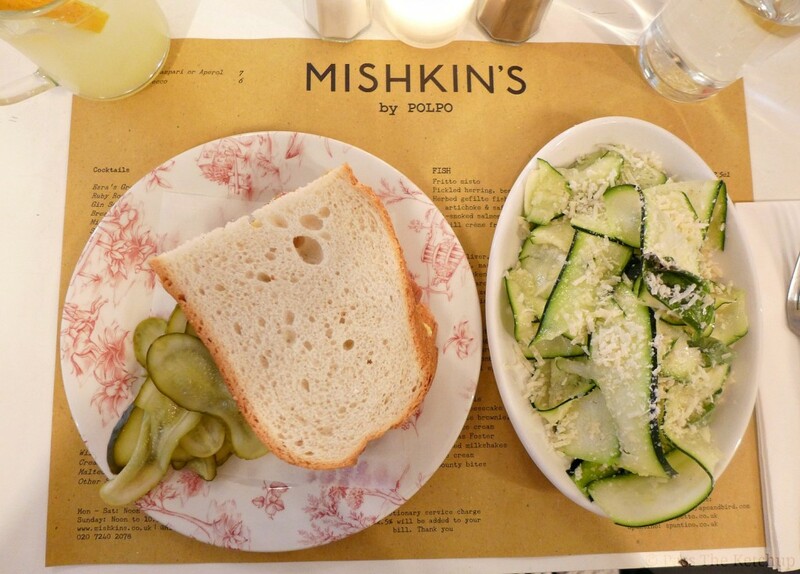 Overall, Mishkins is a good choice for a meal on a sunny afternoon in London town. Have you had a meal at Mishkins before? Let me know what you thought of their food and cocktails in the comments below.